Posted on 26/02/2012, 22:42, by admin, under Race News. Posted on 26/02/2012, 22:01, by admin, under Photogallery. Posted on 23/02/2012, 10:54, by admin, under Videogallery. 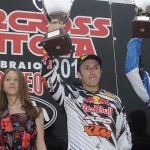 19.2.2012- Mantova Starcross: vince Cairoli. 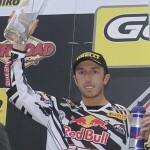 Posted on 19/02/2012, 23:51, by admin, under Race News. 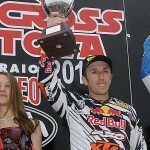 Prima gara stagionale e prima vittoria per il portacolori del team Red Bull KTM Factory Racing MX1, che ha inaugurato al meglio il 2012 agonistico. Posted on 19/02/2012, 23:42, by admin, under Photogallery.